Two weekends ago I celebrated my one year wedding anniversary with my husband in Tahoe. Of course, I bought my easel and spent an hour painting. Here’s what came of that. It’s difficult to work a full time job, paint, have side gigs, and work out. I want to blog more, but it’s easier to post to Instagram. I was promoted at work, so if you’re looking at my blog because you’re interested in admissions for Stanford Civil & Environmental Engineering I am no longer in that role. However, please stay and enjoy the paintings! With the new role my responsibilities have greatly increased, and in transitioning to my new role I have been extra busy wrapping up old projects. 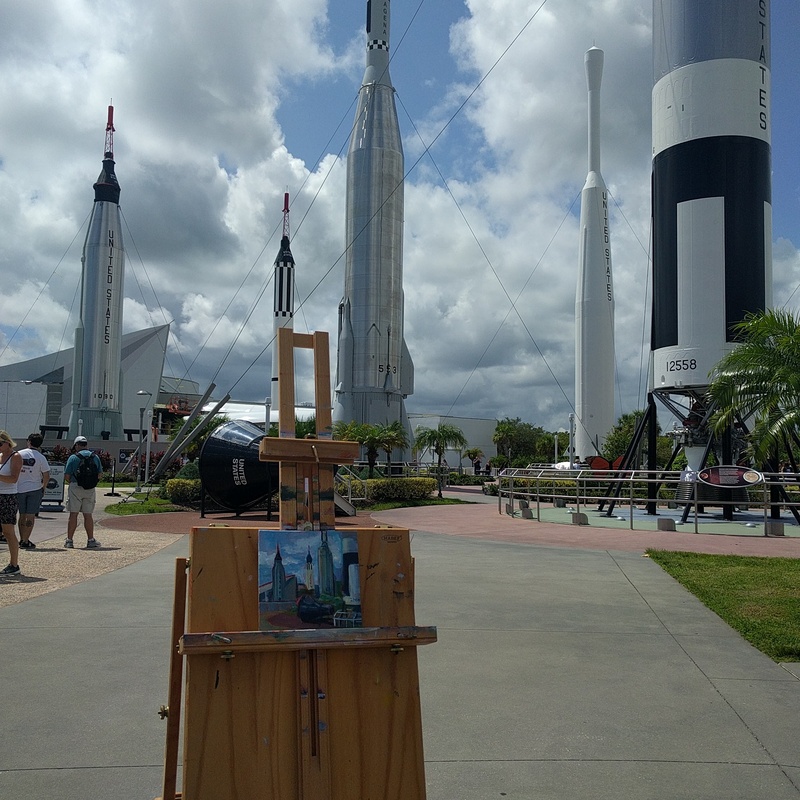 Brought my easel from California as carry on and KSC let me in!